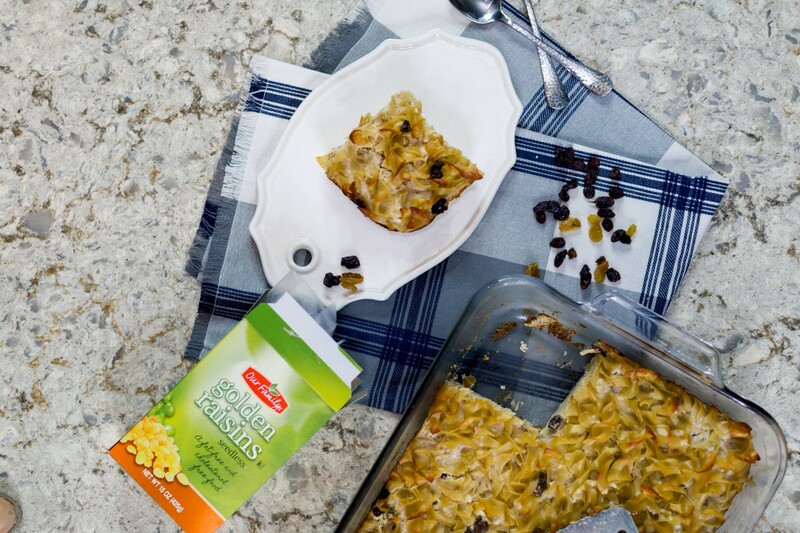 This sweet noodle kugel recipe is perfect for your Hanukkah celebrations. Easy to make and delicious to eat, this is traditional comfort food at its best! Happy Hanukkah friends! This will be my ninth year celebrating Hanukkah with Josh. Where does the time go? I absolutely love being a dual-holiday family, and getting to learn all about the Jewish culture and embrace its traditions. One of my favorite Hanukkah traditions is the food! Latkes, blintzes, and sweet noodle kugel. It’s crazy to me that before meeting Josh I had never tried these foods. They are fan-freaking-tastic. 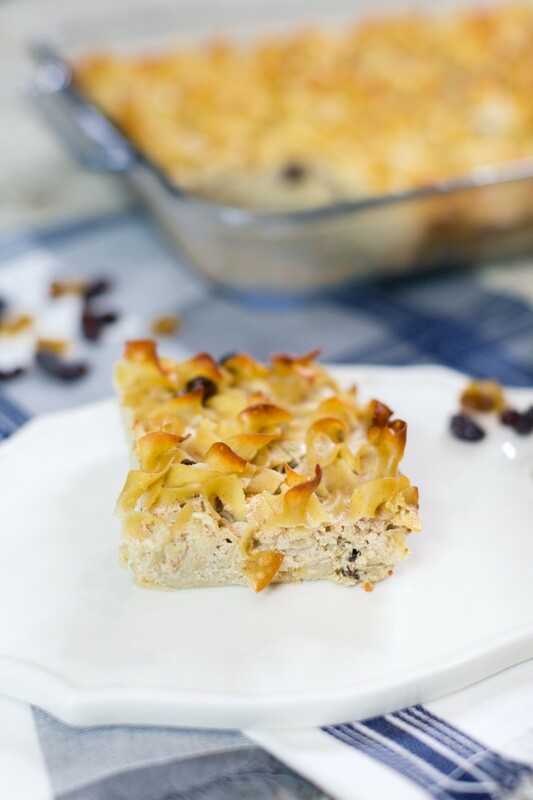 Noodle kugel is also incredibly easy to make. You basically get some ingredients, a bowl, mix ’em all together, and bake. You’re left with a dish that is sweet enough to be a dessert but savory enough to act as a meal. I can’t get enough. Josh and I pick a night of Hanukkah each year to go all out with food. We cook, we light the menorah, we eat, and then we exchange gifts. It’s a perfect tradition that is uniquely ours, which is the very best kind. We picked up all the ingredients for this year’s celebration at Family Fare. 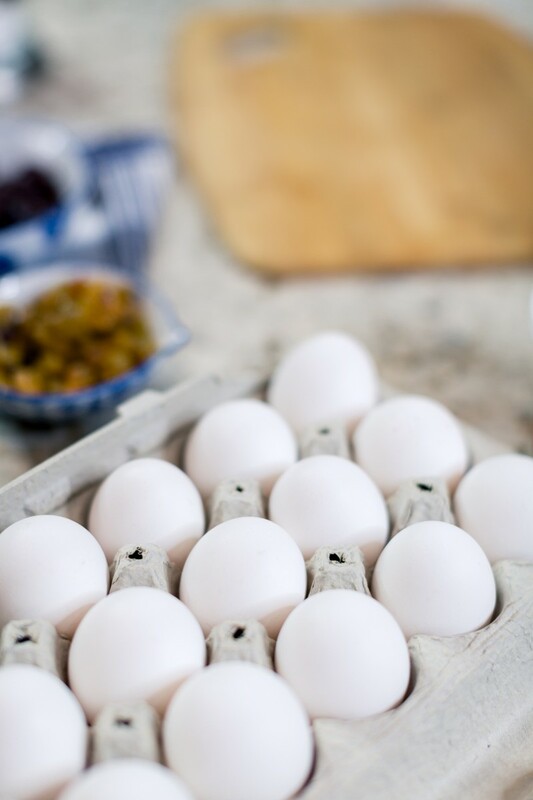 You can’t beat their prices and fresh ingredients. We love their Our Family brand. Questions of the Day: Do you celebrate Hanukkah? What is your favorite Hanukkah food? This looks like a delicious meal and it is totally unique to me. I have never seen anything like this before. Thank you for sharing! 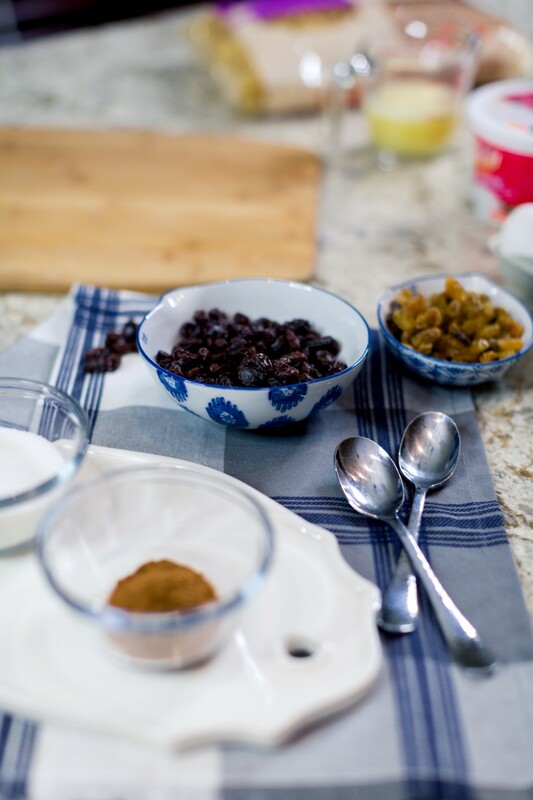 Noodles, cinnamon, and raisins…what an interesting combination! Looks great! I love making this type of meal, because we are noodle lover, lol. 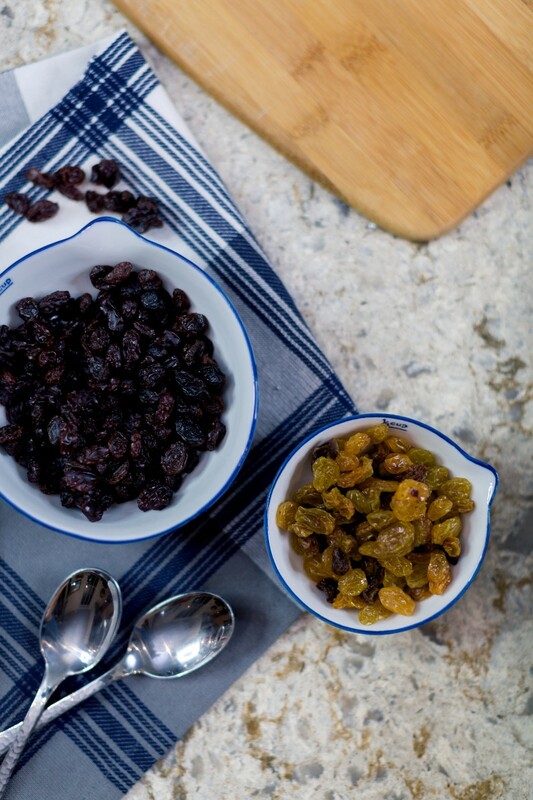 But I have never try to add raisin on it, looks interesting and also delicious. I’m so excited about this recipe! Latkes are the only Hanukkah food I ever make. This will be fun to try! My grandma used to make this and I absolutely loved it. 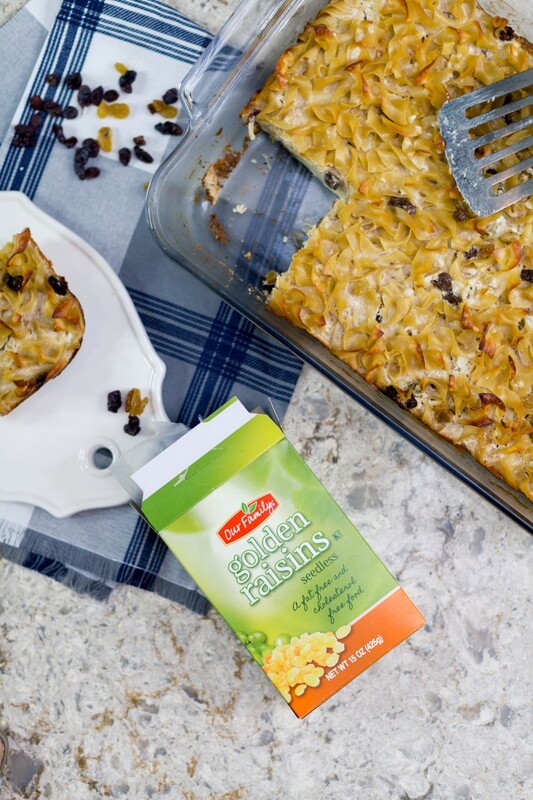 My kids love noodles and raisins, I think I may have to try this for them. I LOVE kugel! My grandmother was Jewish and I have definitely inherited her love for Jewish/Yiddish foods!!! Kugel is one of my favorites!! I’ve never had anything like this, but it looks delicious! 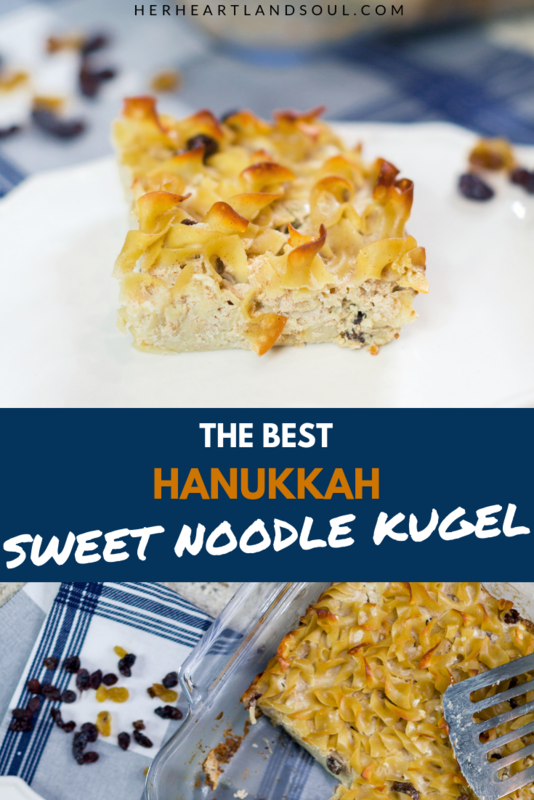 I love noodle Kugel! We have made it several times as we celebrate many holidays! Yum! I’ve never tried this but it looks delicious! What a fun tradition!! This looks like such a delicious dish! I have never had anything like it before, but am so keen to try. I’ve never heard of this but it looks so good. Definitely, something I will have to try.